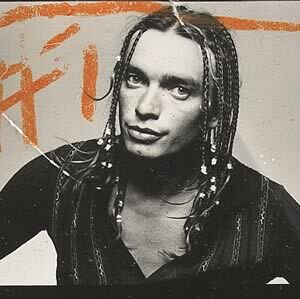 For us at Tree Rat Records, we like to think that one of the most talented and gifted musicians of all is undoubtedly so Jaco Pastorius. Jaco Pastorius may well have been the last jazz musician of the 20th century to have made a major impact on the musical world at large. everywhere you go,sometimes it seems like a dozen times a day, in the most unlikely places you hear jaco’s sound; from the latest tv commercial to bass players of all stripes copping his licks on recordings of all styles, from news broadcasts to famous rock and roll bands, from hip hop samples to personal tribute records, you hear the echoes of that unmistakable sound everywhere. (it may even be more imitated at this point than the previously most pervasive jazz sound to escape into the broader culture beyond the local borders of jazz, the moody harmon mute stylings of miles davis). for all the caterwauling that has gone on about new musicians that have shown up in recent years being toted as the “next miles”, or the “duke ellington of their generation”, or whatever, jaco outranks all of them and all of that by being the one and the only of his kind, without predecessor; the only post 1970 jazz musician known on a first name basis with all music fans of all varieties everywhere in the world. from the depths of africa where he is revered in almost god-like status to the halls of most every music university on the planet. to this day, and maybe more than ever, he remains the one and the only JACO. And we agree. He remains the one and the only JACO.